Bring your loved ones into the fold. 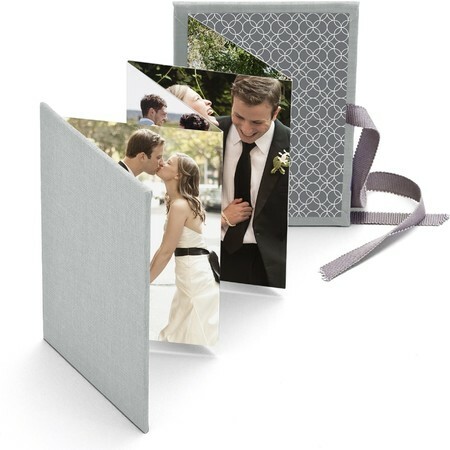 Customize this pocket-sized accordion brag book with 8 of your favorite wedding photos. It's the perfect thank you gift for bridesmaids and mothers. Made of gray cloth.